“With this, LCH has successfully completed all weapon integration tests and is ready for operational induction,” he added. 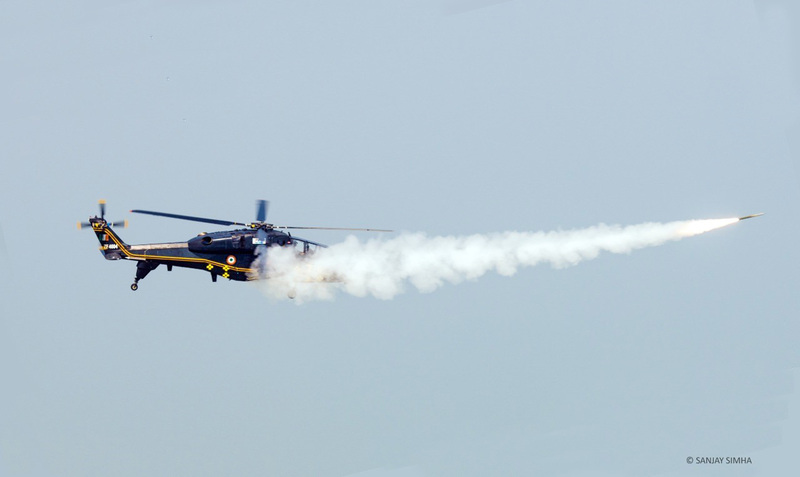 Besides air-to-air missile, twin-seater attack chopper which is based on the Advanced Light Helicopter, when induced, will be armed with weapon system including 20mm Turret gun and 70 mm Rockets, the firing trials of which have already been completed last year. The LCH, capable of operating at freezing heights of Siachen, has been designed to provide for the operational requirements of Indian Army which is beyond the operational envelop of existing attack choppers. With the validation of the aerial engagement capability, LCH will be able to engage enemy’s choppers and UAVs in the tactical battle area besides providing the close air support to troops or armour formation on the ground. As it can operate at above snowline, it can also be used to attack enemy position in higher Himalayan ranges. “Equipped with Helmet mounted sight and a forward looking infrared sighting system, LCH pilots can now detect and destroy any target on ground or in the air. Using these sights, pilots can now launch a missile onto any target without having to turn the helicopter. The fire and forget missile is effective against all types of aerial threat, including UAVs and microlight aircraft. Capable of operating from dispersed locations and flying at ultra low levels, LCH can now effectively provide a protective umbrella from all aerial threats,” it said. Till date, government has approved procurement of 15 LCH wherein 10 will go to Indian Air Force IAF and rest to Army.